There are almost 20,000 known bee species, and they can be found practically everywhere. Considering how common they are you would think that we should have a lot of knowledge about bees. However, that is not the case. Most of us know some basic things about bees and their relation to honey production, but that is mostly all we know. The lack of knowledge creates a possibility of false info to be spread as true - the reason many misconceptions are still present. To help you out we made a list of some common misconceptions. Bee colonies in nature are limited by the lack of suitable cavities for their nests, and they are often not able to store enough honey for the winter. If their food stores are not enough for the winter months, then the colony is at a high risk of dying of hunger or cold. With lack of food bee youngs are weak and can die a lot sooner than healthy bees fed properly. Also, parasites and viruses often destroy whole colonies. Nature is not kind to bees which can be proven by using an example of bee colonies without human contact. In spring every colony will produce at least one swarm; the population of colonies will increase by at least a double. But since colonies are stable, only the original colonies will survive the winter. Even with ideal conditions and a stable population, half the colonies perish each year. Bees are smart; they will often utilize their environment. An example of that is the tendency to seek and collect toxins. Bees collect some of the most toxic chemicals in nature with the intention to use them in fighting microorganisms, parasites and repelling ants. The collected chemicals are brought to the hive and smeared all over the surfaces of the hive. 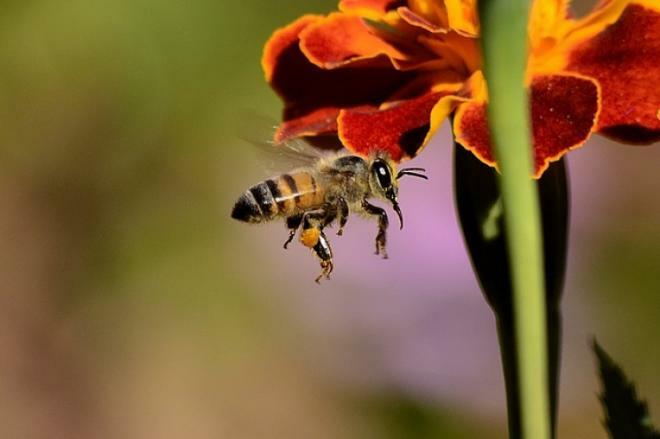 Their favorite chemicals are resins exuded by plants in their protective sap - we know the product as “propolis.” Bees are little scientists; they can detoxify some of the chemicals found in nature. Many of such toxins are found in pollen and nectar. For example, almond pollen is full of toxin amygdalin which, if eaten by humans, releases cyanide which poisons them. However, man-made pesticides and pollutants rise a concern and could be one of the factors negatively affecting bee population. The truth is that only social bees live in hives. Social bees make 10% of bees, but only a small percentage of them builds hives. Most bees are solitary and live in individual nests in the soil or tree trunks. Some beekeepers believe that you should not treat the colony in case some infection or disease occurs. Helping out weak colony that should have died is acting against nature, so it should be avoided. However, doing so really does a disservice to other beekeepers. With no control over a localized problem, the infections can spread to surrounding colonies and destroy the hard work of a fellow beekeeper. The resulting domino effect can result in the wipeout of all colonies in the neighborhood. Bee breeding with such approach works, but it often selects the bees that have bad characteristics such as irritability and excessive swarming. Since the genetic material comes from the queen, there is no reason to kill all the innocent workers in a potentially productive colony. The only ones that need to die are drones and the queen. They are easy to intentionally kill at the appropriate time, and the queen can be replaced. As a result, you get honey instead of just a colony of dead bees. This is a very common misconception about bees, and it is the reason why some people are terrified whenever they see a bee. However, not all bees sting. The stinger is a modified egg-laying device, so only females have stingers. Besides Africanized bees, bees are usually not aggressive. They just want to visit as many flowers as they can and feed their young. Bees tend to sting when defending their nest, so you should not provoke them. Bees are amazing creatures with an important role in nature. They produce honey and pollinate our crops, so let’s be kind to them and break the misconceptions.